What is a VOC and why are they used in vehicle refinishing? Volatile Organic Compounds or VOCs are specific materials which evaporate readily and are found in the atmosphere from vehicle exhausts, cleaning agents, furniture polish and fabric softeners. Examples found in refinish coatings are xylene and butyl acetate, where they play an important part in controlling viscosity, flow and drying. In the regulations VOCs are ‘solvents’ that have a boiling point below 250ºC at standard atmospheric pressure. Why is new legislation being introduced? VOCs are emitted from many sources such as road vehicles and aircraft, cleaning agents, cosmetics, aerosols, paint and industrial operations. They can accelerate the rate nitrogen oxides (from combustion processes) react with sunlight to create low level ozone and photochemical smogs. Although vehicle refinish coatings contribute less than 0.5% of the total amount of VOCs emitted in the UK all industrial emissions of solvents are being targeted for reduction. 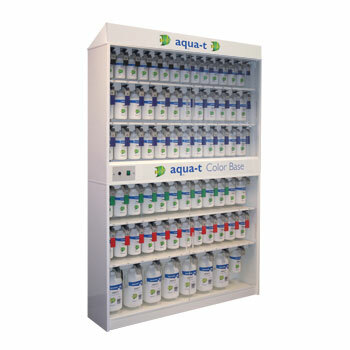 The refinish business sector has been controlled by national UK legislation and the Solvent Emissions Directive (SED). This is now being updated to reflect European legislation. Does this affect the coatings that I use? If you have been subject to previous environmental controls or have had a permit then there will be little change to the products you use. However if you have had no controls in the past then some of the products that you can use will change significantly. What is the new UK Legislation on VOCs? The new UK legislation (SI 2005:2773) is based on EU directive 2004/42/EC which all European Union member states must introduce. It covers coatings used for the refinishing of cars and commercial vehicles and sets limits on the maximum VOC content of coatings used at every stage in the refinishing processes. A new Process Guidance note PG6/34b (06) has been introduced in the UK for these processes. The EU Directive does not cover the original painting of motor vehicles and trailers which is regulated under different legislation. [Process Guidance note PG6/34a (06)]. *The VOC limit applies to the ready for use product (including twopack coatings) and includes any recommended thinners. Certain products, including plastic adhesion systems and polishes are excluded from the legislation. The legislation does not cover the repair coating of motor bikes, historic motor cars or any agricultural machinery, such as tractors. When does the new legislation come into force? manufacturers can supply products manufactured before this date for a period of up to one year (until 31 December 2007). The product directive is a sellers law in that it focuses on the paint manufacturer and distributors rather than the end user. They will only be able to supply compliant products to businesses covered by the PPD. How will this affect permits? Under existing devolved UK legislation many bodyshops are required to have a permit to operate. Current solvent thresholds are 1 tonne in England, Wales and Northern Ireland, 2 tonnes in Scotland and will not change. The application and subsistence costs will be lower than current to reflect the simplified process by the use of compliant coatings. What change will there be to the paints I use? Bodyshops covered by existing controls will be able to continue using most of their existing products. Those who have not been using “compliant” coatings will need to use waterborne basecoat technology and other lower VOC products for repairing motor vehicles. How will the product labelling change? From 1st January 2007, products defined by the categories in the table will require a new VOC label to confirm that the maximum VOC of the ready for use paint recommended in the Technical Data Sheet (TDS) is less than the limit for the sub- category. This will be a pictogram of the TDS followed by a code e.g. 2004/42/IIB (d) (420) 410. The explanation of this will be given in the TDS. This labelling is to comply with the regulations and does not affect the user. Source: British Coatings Federation (BCF); Volatile Organic Compounds (VOCs) in Paints, Varnishes & Vehicle Refinishing Products. Regulations 2005. 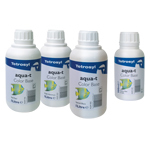 Aqua-t - Tetrosyl Limited - Registered in England. Company No. 537855. WEEE No: WEE/FK0071UZ.